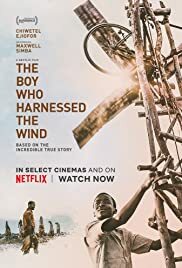 Based on The Boy Who Harnessed The Wind, the best selling book and true story of William Kamkwamba. Directed by and starring Chiwetel Ejiofor and introducing Maxwell Simba. Debuts on Netflix March 1, 2019.